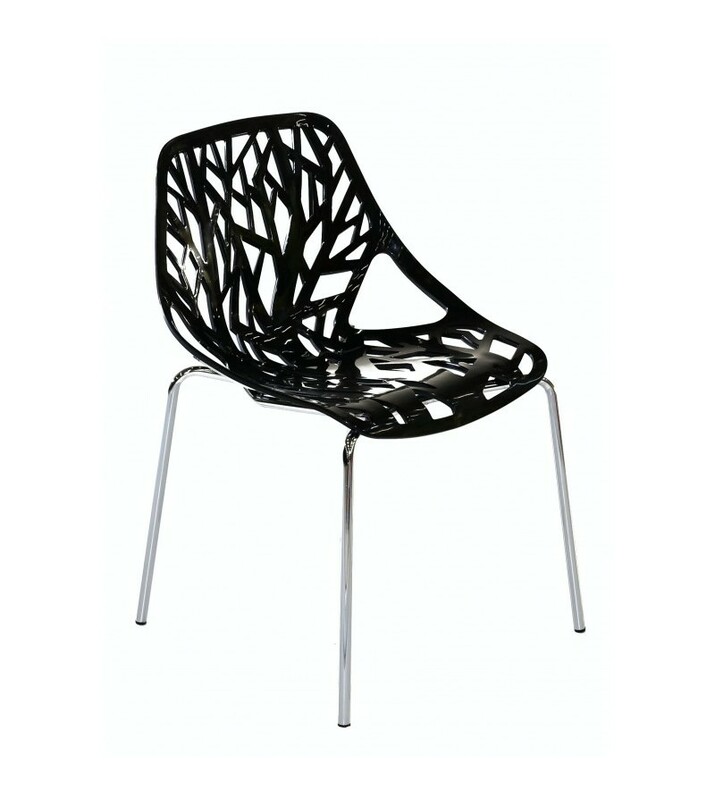 The B.C Style Life Chair lends a modern touch of the beauty to your home. 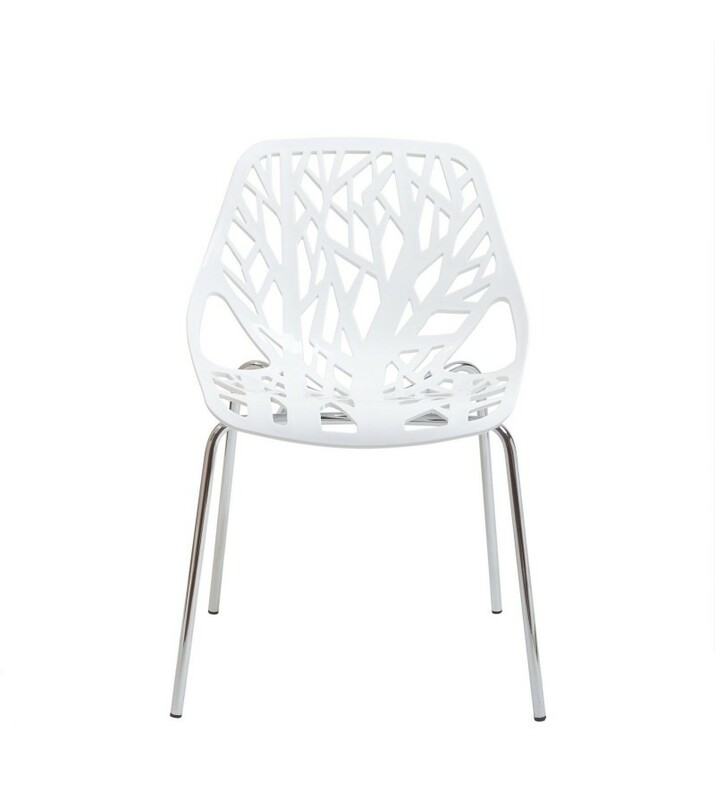 The intricate cut-out design is ideal around a minimalist dining table or simply as a standalone chair in an entryway or part of a rooms design. 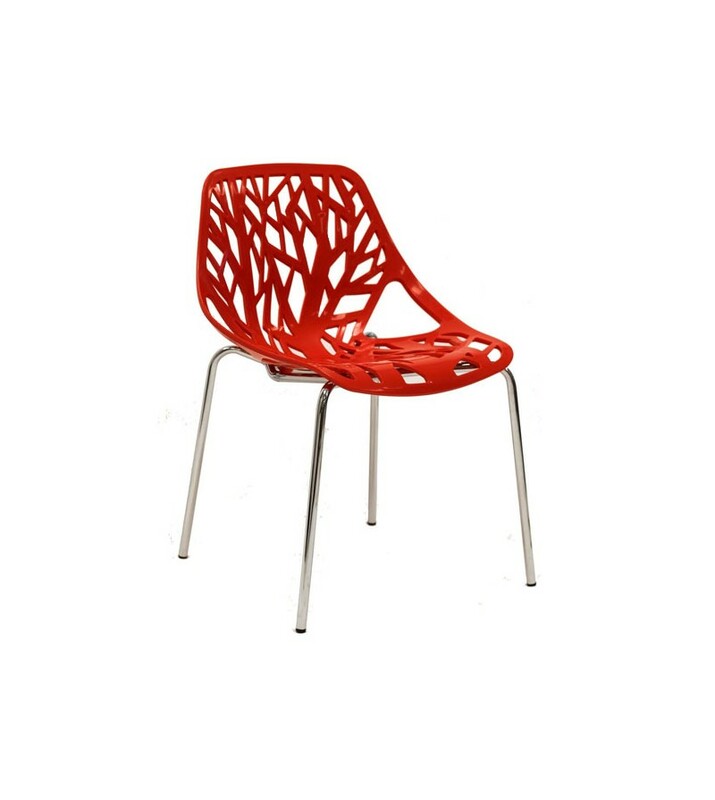 It is constructed with a sturdy molded plastic seat atop a steel frame with a shiny silver chrome finish. They are stackable, and assembly is required. 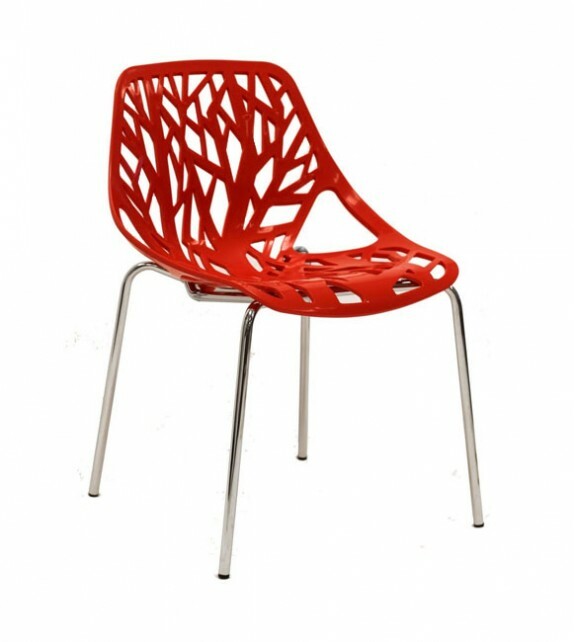 Available in White, Black or Red.